Los Alamos is getting in on the beer dinner scene. Bathtub Row Brewing in Los Alamos is continuing to bring more events and activities to the community. 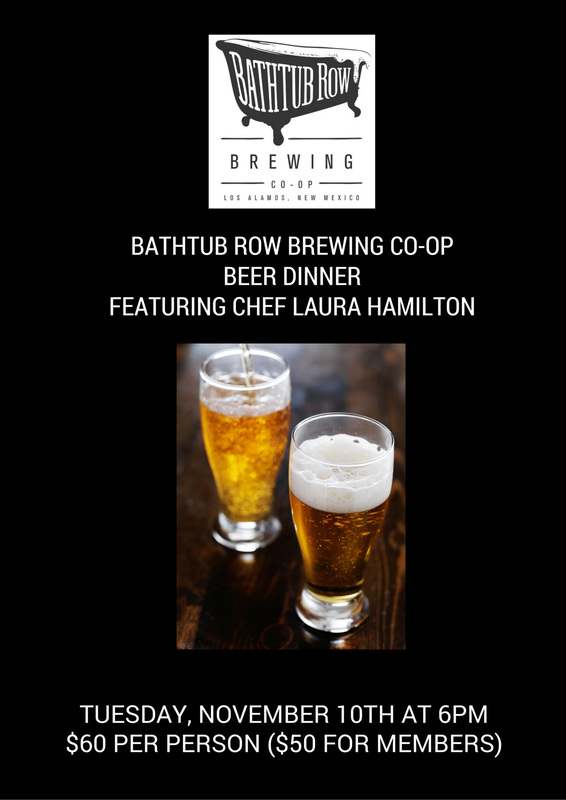 The latest is their first “beer dinner,” featuring local chef Laura Hamilton of Rosebud Cafe in nearby White Rock. Six delicious-looking plates will be paired with an appropriate (and also delicious) BRB brew. A maximum of 60 people can sign up, and it will likely sell out, so get your ticket ASAP. The event is set for Tuesday at 6 p.m. Cost is $60 per person, or $50 for co-op members. Call (505) 500-8381 or visit the brewery to sign up.